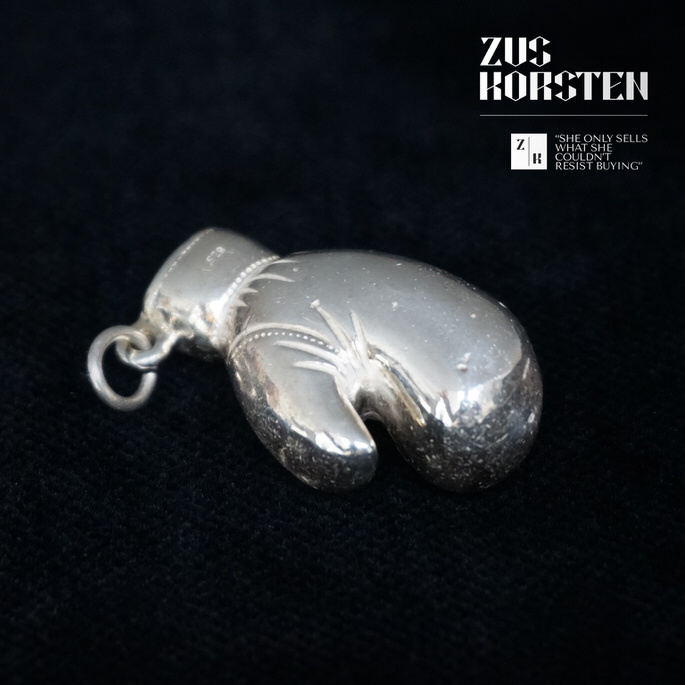 Very pretty and detailed 835 silver boxing glove. It is not completely solid but it feels solid and heavy. It is marked 835, officially this would not be sterling silver (as it is 835/1000 instead of common nowadays 925/1000 silver) but late 19th-early 20th century this was a common alloy for European antique silver objects and jewelry. Maybe a bit big for a charm, but perfect if you want to make a 'boxing fan' statement on your bracelet.